Disney Frozen Tiara - Anna Just $2.99 Down From $7.99 At Sears! 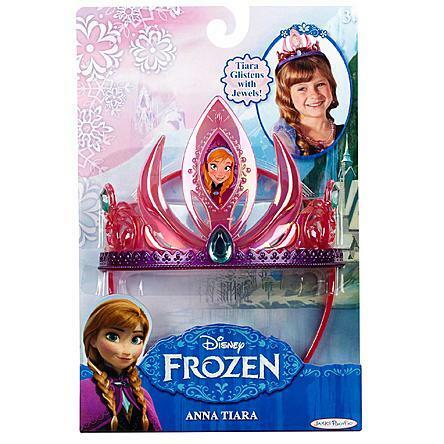 You are here: Home / Great Deals / Disney Frozen Tiara – Anna Just $2.99 Down From $7.99 At Sears! Disney Frozen Tiara – Anna Just $2.99 Down From $7.99 At Sears! Sears has this Disney Frozen Tiara – Anna on sale for $2.99 (Reg. $7.99)! Wear these Disney: Frozen tiara’s and sparkle just like Anna and Elsa! Wear this Disney Frozen tiara and sparkle just like Anna! Tiara features sparkling pink jewel tones and perfectly compliments your Anna dress and jewelry set!